Look at the raveling. It's a nosebleed to sew! Recently, I purchased some raw silk for a spring jacket, even though I knew that it was problematic to sew. 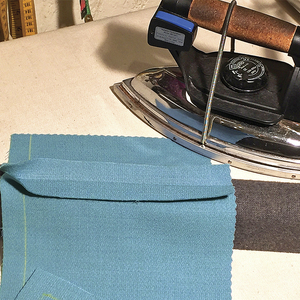 The issue with this kind of silk is with raveling – the seam allowances practically jump apart once you cut. Here’s an example of what I’m talking about. To demonstrate what happens, I just cut this piece out, and shook it gently for a few seconds. Look at the raveling! It’s a nosebleed to sew! I did a little experimenting before I began, and figured out this trick to keep the seam allowances intact. 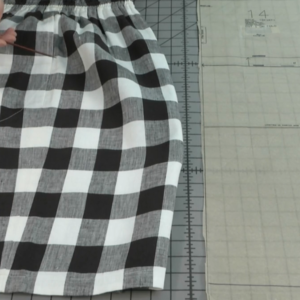 Know that this will use a little more fabric in cutting, but the results will be worth the fabric you’ll waste in preparing the garment sections. 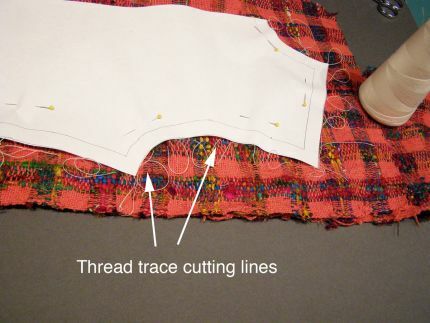 After placing your pattern onto the fabric, thread trace the cutting lines through both layers of fabric, leaving large thread loops above the fabric. You make the tedious a breeze, you bring manners to obstreperous fabrics, and you offer hope to those of us cowering where cloth meets thread. It has been said that a man never stands as tall as when he stoops to cut loops. Ergo, you sir, are a giant. 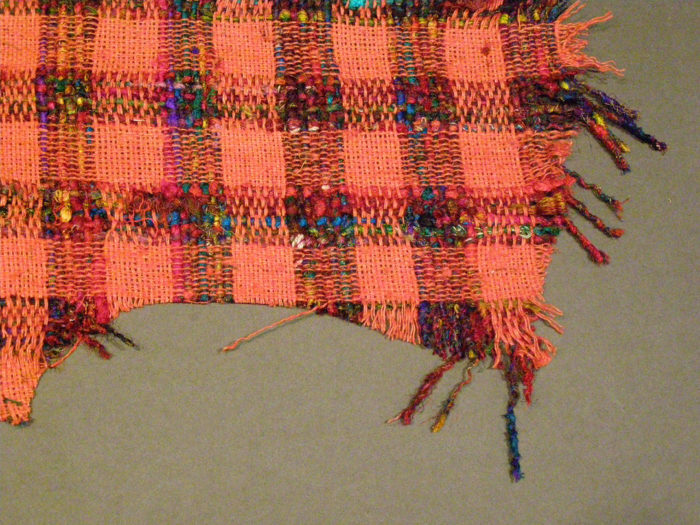 Years ago I made a lot of things from heavy handwoven silk, for a weaver friend. I would pin the pattern securely to the spread-out cloth, then trace all the way around with Fray Check, just outside the cutting line. After it was dry, I would serge it off. Now I would probably use a soluble stabilizer, but Fray check was what was available at the time. This is awesome, and I hate it less than any other solution I've seen. However, you are brilliant in general, so I'm not surprised. 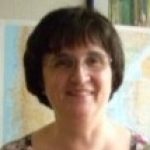 I appreciate your posts and information a lot. Does anyone ever use that raw edge as an embellishment? After so many years of using silk chiffons, it's only now that I have stopped hating the ravel and begun to admire it. 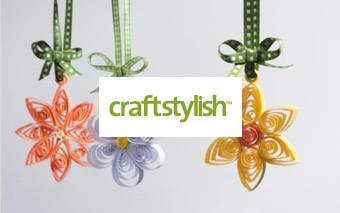 Check out Kate Haxell's 'Twenty to Make Fabric Flowers' where raveling is a must! What about using one of the high-end iron-on interfacings? A lightweight one would also secure the threads and maybe guard a little against snagging when the garment is worn. I was surprised to see "raw silk" equated with such a loose weave. Raw silk can also be woven very tight--may be called "tussah" for its Indian origins? Very handsome fabric with beautiful colors, deserving of meticulous work. It's a great tip; now the trick is for me to actually remember it when I need it! I thought you were going to serge the edges after tracing the cutting line. That would finish the edge and cut it out at the same time. Thanks for the tip. Now I won't be afraid of that type of silk. 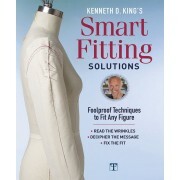 Having just finished reading, from cover to cover, "Couture Techniques", by Kenneth D King, I think the man is a complete genius. 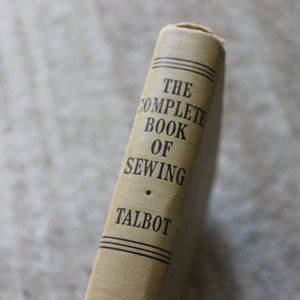 From now on, I will avidly search out and read as much of his sewing advice as I can find, including of course the tip on sewing tricky silk. Any more of his books I should acquire?? 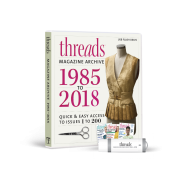 To Yourwildestdreams: I use fraying an edge in construction--I did an article a while back in Threads called "brush fringe", which was just that. So--embrace the frayed edges! To Mariesaite: You could use an iron-on interfacing, but I tend to avoid them. I experimented with one to solve this problem, and the time spend/payoff wasn't there. This, really, took less time. To Sewmarj: Yes, you could do exactly that. The one caveat: making sure the paper pattern is exactly placed the same on both pieces. 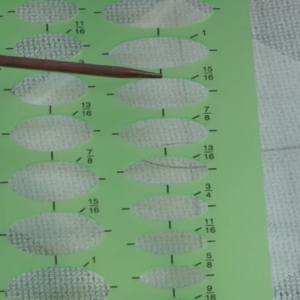 Thread tracing, while a bit tedious, ensures that both pieces will be stayed and cut the same. To Nanasattic: Serging would do two things, both undesirable: First, it would stretch the curves, distorting the fit of the garment. Also, since the yarns in the weave are really thick, the serging sometimes falls off the edge. The thick yarns can also jam up the blades on the machine. And to copperwoman: Fray check is another option for fixing this, but I imagine you bought it in large quantities to fix the seam allowances. I'll have to try that. A question I had in class today about this was: what seam finish do I use? I use a Hong Kong finish, binding over the zig zag stitch, so in the finished piece it will be invisible. 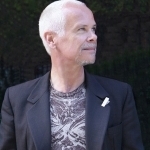 The book I wrote is called "Cool Couture", which is re-named and re-packaged in the UK as a book called "Home Sewing Couture Techniques". Different cover, name, and ISBN number, same book. So, I want to give a heads-up to everyone out there. If you've bought one or the other, you have the book. It wasn't something I knew about--the UK publisher re-did the cover and title, for some reason. There's been some bad feelings towards me, assuming (I can understand) that I wanted to gull people into buying the same book again. So please, Dear Readers, know that both are the same book. I work with a lot of upholstery fabrics to make my purses. Because many upholstery fabrics are woven, they also tend to unravel. I will use this technique next time I have one of those 'nose bleed' fabrics! Oh come on! 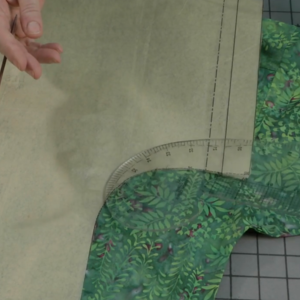 How about cutting just a bit wider than the seam allowance, then serging the edges at the proper seam allowance and trimming off the excess as you serge? 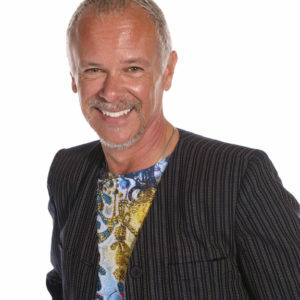 Or, forsaking that, just cut the pattern accurately and then CAREFULLY serge the edges of the pieces to stop raveling. I mean, who takes pieces and shakes them out anyway? And why make extra work for yourself with all the basting, etc.? This is fragile material. Handle it CAREFULLY and you won't have the raveling problem to begin with. I encountered this very problem back in the 70s, in my second Tailoring Class, where I was attempting to make a "maxi-coat" out of some very loosely woven wool. I used tailor tacks in a similar manner, but was stumped by what to do about bound buttonholes. No "Fray-Chek" back then. I ended up doing them all by hand, with little tiny stitches to catch every loose yarn, and vowed "Never again!". Kenneth, what are your ideas: Hand-worked buttonholes? Fused/Fray-Cheked bound ones? I completely agree that serging comes right off . . . I have been working with very loosely woven fabrics for the last 20 years, with great results that has nothing to do with a nosebleed. In the past I made strips of easy knit interfacing. After cutting the fabric out right sides together I carefully carry the pieces with 1 inch seam allowances to the ironing board and iron on the knit interfacing to the wrong side of one piece then turn over both pieces and iron the interfacing to the other side. I repeat this with all pieces. Then I surge around the edge of all the pieces. Sew the garment as usual. When you press the seams open the interfacing disappears under the seam allowance. Good to use on lined or unlined garments. Now you can purchase 1 1/4 inch fuse-able in rolls. This is much easier than cutting all of those strips. This method does not change to drape of the fabric. I don't like the result if the the whole fabric is interfaced because it changes the fabric. I usually cut out the loosely woven fabric (not just silks) pieces and then zig-zag the edges, but this trick seems like it will keep the curves more stable, while avoiding edge loss from slight fraying during handling. It's great to see a technique that uses simple options anyone can use. 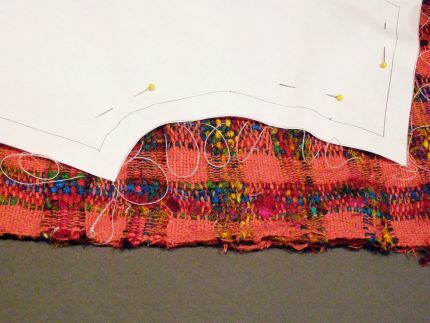 For those who want to serge everything, when I (having no other option at the time) used a serger on a loose weave, woven with heavy threads, often the serger just wrapped one or two threads and pulled off and distorted the edges, rather than stabilizing them. It also is more likely to stretch and curl the curves. The tailor's tack-like basting and zig-zag stitching really are gentler on the fabric and don't require additional chemicals or stabilizers. Thanks, Kenneth, for pointing all this out. I was at the fabric/taylor shop and saw a finished silk woven jacket that had the raw edges incased with seam binding. When would you do this? After the seams are finished being sewn. It looked so nice and secure from raveling. I don't understand how the thread looping will stop the fray. It's like a bazzilion tailor tacs, but only once through. As for those of you who immediately choose to 'serge'... whyee? Serging always looks like cheap commercial junk to me, especially when there are so many other choices, and if you are using raw silk.... gunk UP the machine. 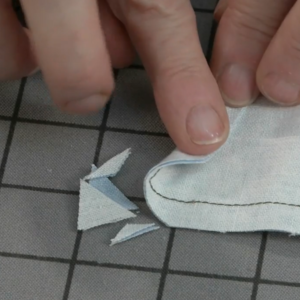 Press the fabric, chalk trace the sewing line, hand baste the cutting line and cut just outside of it. Then if you'ld like, zigzag after you've sewn it. But, raw silk calls for bound seams at my house. To Fairviewfarm: I may not shake the pieces, but the normal handling that the garment sections get when constructing does the same thing. This is why I needed to stay the edges. It's not an issue of handling carefully or carelessly with this fabric--the weave just jumps apart at the slightest movement. I'd made a jacket out of this fabric without doing this, and before long the seam allowances were really ragged (and in a couple of cases non-existent ) which made finishing the garment difficult. I just finished another one where I did this technique, and the seam allowances are intact. The time spent in the set-up paid off in time saved repairing the ragged seam allowances. For all of those who love the serger: I'd say by all means serge the fabric, if you feel it gets the result you want. Like everything in sewing--test, test, test. Some people don't have sergers, and some (like me) don't like the distortion they sometimes impose on the curves by stretching. But it's a viable option. I'm just presenting another. 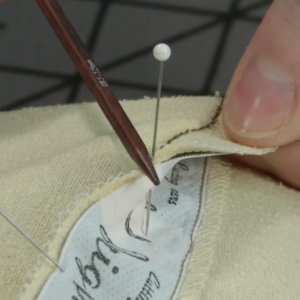 To user2435674: I bind the seam allowances before sewing the seam--it's easier to manage individual garment sections for a more accurate result, rather than wrestling with an entire garment. To Torilynn: The thread loops are a marking device, called thread tracing. 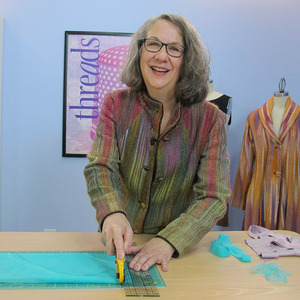 If you look in the photos, you see that I pull the fabric apart, which pulls the loops flat against the fabric--cut the threads between the two layers of fabric to separate the layers. 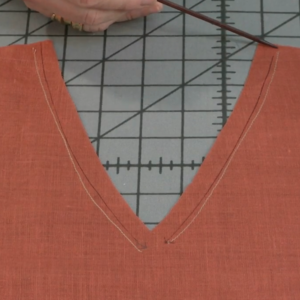 This way you have a guide line to zig zag stitch onto, knowing exactly where the cut line will fall. Thread tracing is less work than basting the lines on each section individually--you get both pieces marked in one pass. To JDtailor: I'd avoid bound buttonholes in this particular fabric, as it's so loose and unstable. But if you were working with something loosely woven and not so thick, using really short machine stitches (0.5mm or shorter) to sew the welts of the buttonholes, will give a secure result. 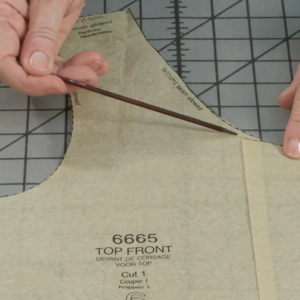 Also, this is one of the times I'd make an exception for fusible--I'd just fuse the area where the buttonholes are (pellon is better), and after the buttonholes are set, pull away the pellon and trim close. 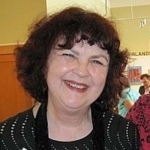 I love your sewing tips. You are an artist, an innovator and an engineer. What a wonderful combination! Wow. I have had a piece of this type of silk for ages, and have never done anything with it because I have such fear of those ragged edges. This changes everything! Thanks for yet another brilliant solution to a sticky problem. I've gotten some questions about terminology, so to clear things up: The fabric I call raw silk is often referred to as silk suiting. Many raw silks are one color. This technique works on all of them. As always your tips are phenomenal. I love this one and will be using it regularly. I am sure there are other fabrics that could use the same technique to stop the fraying. Thank you again for helping me be a better sewer. 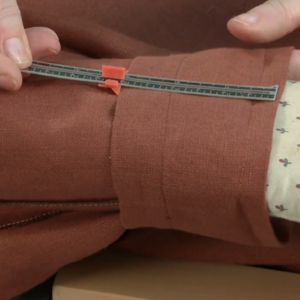 I always appreciate seeing alternate ways to handle variables that come up when constructing garments out of the many fabrics we have available to us. We will all have our favorite methods, but sometimes the tried and true doesn't give the results we are hoping for and it's nice to have another option! I'm wondering if you plan to use an underlining in this jacket and if you'd be willing to share your thought process as to why or why not? 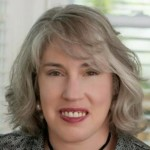 Is there another way to ensure that seams in areas of stress don't pull out? To Lastminutelady: I didn't use an underlining on this jacket because it's a spring unlined jacket. I'm teaching a jacket class on Craftsy.com (filming next week) and this jacket was one of the practice runs. 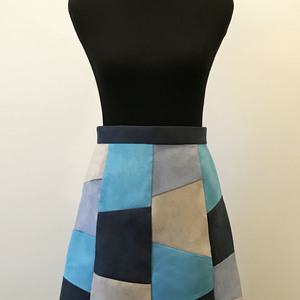 I did finish the seam allowances with Hong Kong binding from the lining fabric, and made a deep front facing from the fashion fabric, and half back lining out of the lining fabric. This fabric, though loosely-woven, is surprisingly resistant to stretching and bagging at the elbows, so that's a reason I felt safe not interlining it. As for interlining, I'd use a silk organza for this fabric for stability if I were lining it fully. That would help to keep the seams from pulling loose. In this case, though, since the jacket is loosely-fitted, there isn't as much stress on the seams. Also, I sewed the seams with a shorter stitch--2.0mm, rather than the 2.5mm that my machine defaults to. Under the arms I used a 1.5mm stitch length. 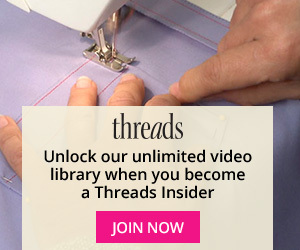 Shorter stitching lengths here will also keep the seams from pulling loose. What a fabulous fabulous idea to deal with such an open weve fabric. I wonder if you could guide me a little? I bought 2 pieces of 100% silk Dupion. I have made one up but had difficulty because it is rather open weave and readerly went out of shape when I was cobstructing it. I wonderes if the problem could be solved by putting an extreemly fine bondable interfacing onto each piece before constructin? I appreciate that this will alter the "fall" of the fabric but as it is rather too soft anyway maybe I would get away with it? to user-1116275: You could use a fusible to back this fabric as well, if you want to. It will change the drape of the fabric a bit, but that's an option for stabilizing this fabric. 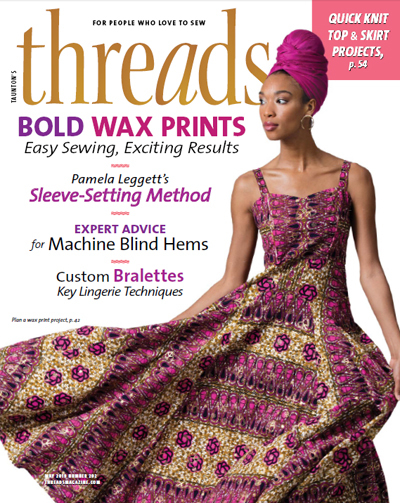 Kenneth, brilliant as usual, and an explanation of what "thread tracing" is, I have never done it because I just didn't know how! Now, I have no more excuses for not making up a gorgeous piece of silk tweed gently aging in 'ye stash'. I have purchased some tailoring supplies from Louise Cutting and am wondering if I really need iron on stay tape for a loosely fitted cardigan type jacket? Or silk organza interfacing? 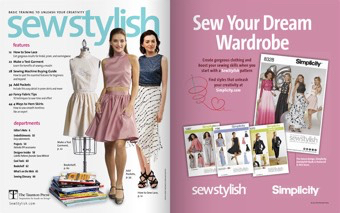 Please keep up the brilliant work, you and Louise are my sewing heroes!! 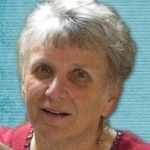 To Whoneedlesthis: Thanks for the kind words! 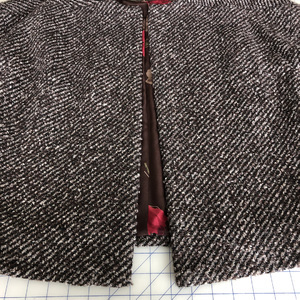 As for the stay tape and the silk organza interfacing--If your cardigan style jacket has a V-neckline, the stay tape along the neckline would be just the ticket. And the silk organza interlining will keep the seams from pulling in the finished garment, so it's a good idea. To user1111... and Kenneth: One fusible that might work on the silk dupioni is a stabilizer called "Dreamweaver" from Floriani. 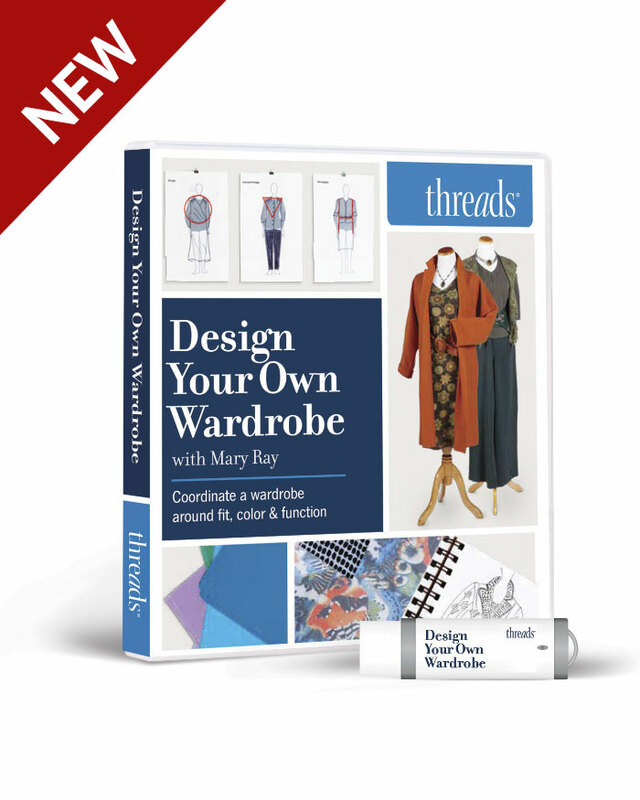 It is designed to be fused to delicate silks and similar fabrics before you sew. It is very light and drapey, and it might be something to try. I experienced the same issue with my first piece of raw silk. I nearly ran out of fabric before I stopped! I used my serger to get as small an edge. Using a rolled edge was too fine an application, so I experimented until I found that a 3-thread narrow hemming edge worked beautifully; then I could cut out what was left of the fabric! That made the joinery easier as I could just sew up really close to that inside edge and not lose any more fabric to raveling. Happy to say the piece is still intact even after hand washing and ironing. I was making some sleeves for a kimono. This technique gave a clean finish. Hope this helps.